I found this example at a cafe in the inner city. 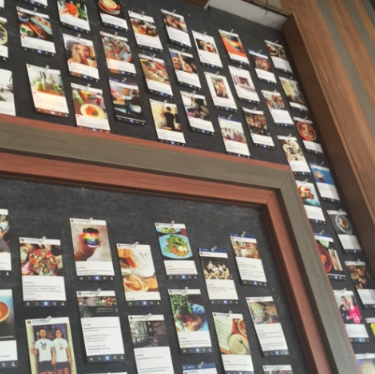 The cafe owners are displaying many of their Instagram pics from the staff and customers. It’s fun, involving and builds community. Also a great use of social media and face to face. Customers, staff all feel good. A great win-win — the essence of small wins innovation.